My friend Dwayne Brown recently shared his projections for the top 24 players drafted according to dynasty ADP in 2016. 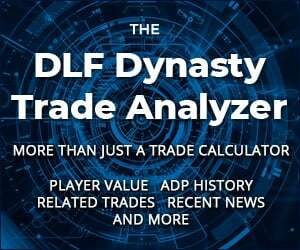 Being a fan of all things dynasty and ADP related, this got my attention and more importantly, got me thinking. 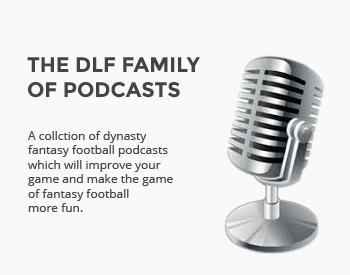 A few weeks back, I had worked on a Flash Forward series for DLF, using Twitter feedback to project the First Round Locks, First Round Sleepers and Fading Stars based on potential 2016 dynasty ADP, but I hadn’t actually made any predictions myself. With Dwayne’s permission, I decided to borrow his idea for this season’s first edition of the Dynasty Stock Market. Before I look forward though, I decided to look back at the past three years of dynasty ADP data I have collected for DLF. I expected to learn from the trends, which would allow me to better hypothesize what next season’s group of elite players might look like. Here are the top 24 players, representing the top two rounds of a typical 12 team PPR dynasty league, from 2013-2015. 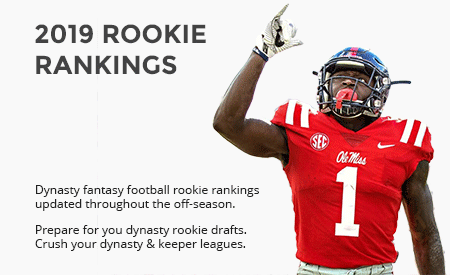 This data is an average of all off-season mock draft data combined for one off-season ADP. Ryan, are you down on Kevin White? I was pretty concerned about White before we knew how serious his injury was, so he’s fallen off even more for me. Considering he possibly misses the entire season, I don’t think there’s any way he cracks the top 24 next year. Lacy is clearly a strong option to remain in the top 24, but not everyone in the current top 24 will remain. I am growing more and more concerned about Lacy’s concussion history and wouldn’t be surprised if he missed time this year, causing him to fall in value. What about D Adams from that WR draft? or M Gordon?